Dr. Dwight H. Pate D.M.D. P.A. 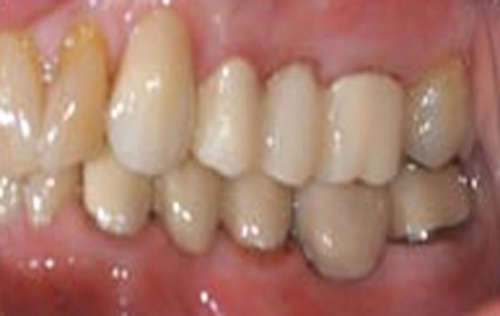 Often patients refer to removable teeth as “bridges”. 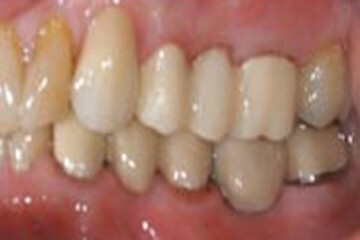 While this may be true for lay terms, when dentists use the word “bridge”, we are referring to the replacement of missing teeth using a “fixed” non-removable type of restoration that functions much like your original natural teeth. 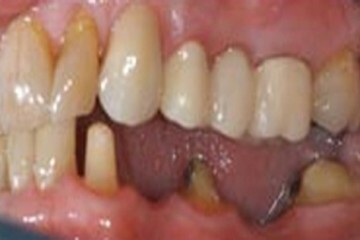 In the pictures at the left, the 3 teeth you see in the top picture have missing teeth or “spaces” between them. 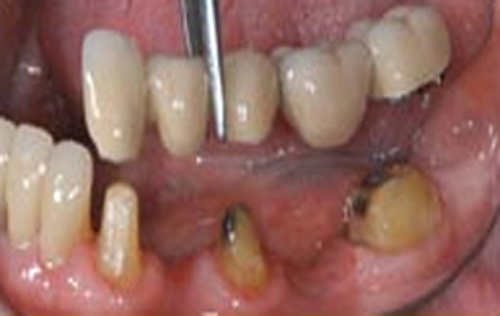 After reshaping the 3 teeth to serve as anchor teeth, the 5 tooth bridge that can be seen in the middle picture is made and is cemented to the 3 anchor teeth resulting in 5 continuous teeth with no missing teeth, or spaces, as shown in the lower picture. 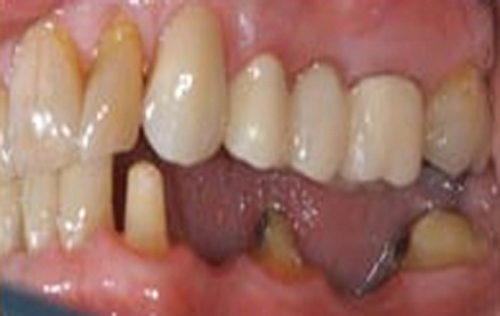 Once cemented to the anchor teeth, they are fixed firmly in place and chew and function much like natural teeth, unlike removable partials or dentures. 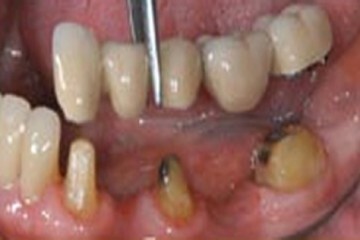 There are no unsightly wires to hold them in and no bulky metal or acrylic straps around the inside of the mouth as is true of removable partials and dentures. Dr. Dwight H. Pate D.M.D, P.A. Website Redesigned & Hosted by Digital Eel Inc.